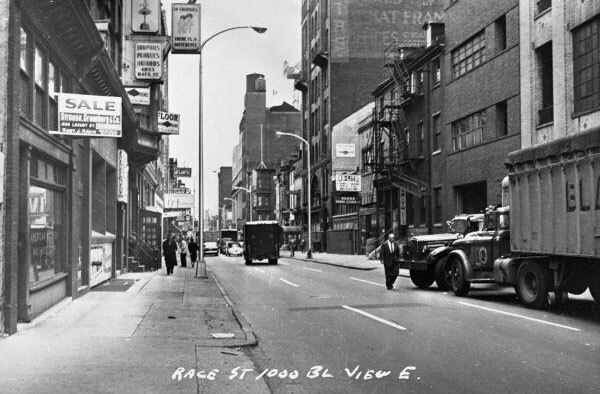 Philadelphia’s Chinatown was born in 1871 with a laundry at 913 Race Street, owned by Lee Fong, one of the many sojourners who fled anti-Chinese sentiment in the west and relocated east to form small “bachelor societies” in many cities. 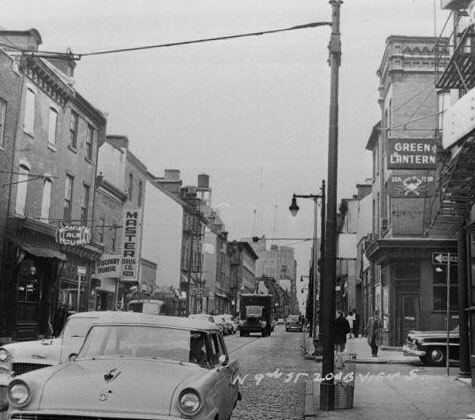 For many decades Chinatown consisted of a concentration of Chinese businesses clustered around the 900 block of Race Street. After World War II, liberalized immigration policies toward the Chinese transformed Chinatown into a family-oriented community. Churches, businesses, and social and cultural organizations were established to improve neighborhood life, preserve Chinese culture, and provide services to growing numbers of immigrants. At the same time, the neighborhood faced ongoing threats from urban renewal projects such as the Vine Street Expressway, which displaced residents and limited growth. Continued activism by community members has allowed the community to survive and today many look to the future of Chinatown in new housing and businesses north of Vine Street.